Intravenous fluid therapy and blood administration remain a fundamental part of hospital patient care. 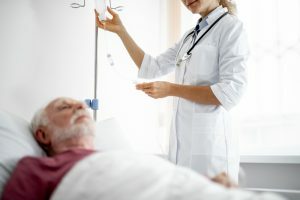 Inappropriate administration of intravenous fluids and/or blood infusion — either the incorrect volume (too much or too little), the incorrect type of fluid, or an accelerated rate of infusion— is a significant cause of patient morbidity and mortality. 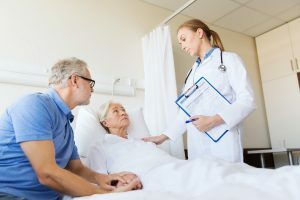 Excessive intravenous fluid administration can cause electrolyte balances collections of fluid in the lungs and around the heart which can develop into pneumonia, respiratory distress, acute kidney injury and even heart failure. The NPUSA nursing staff has encountered iatrogenic fluid overload (iatrogenic refers to illness caused by medical examination or treatment) in both clinical practice and case review across a wide spectrum of patients. Infants, children, expectant mothers, the elderly and patients with numerous comorbid health conditions are at the highest risk for serious adverse consequences with fluid overload. Ms. Mince also noted that excess fluid administration in the near term and term infants result in generalized edema, also called third spacing of fluid and abnormalities in pulmonary (lung) function. Excess fluid administration in the very low birth weight infant is often associated with congestive heart failure, intraventricular brain hemorrhage (bleeding in the brain) and bronchopulmonary dysplasia (chronic irritation and inflammation in the lungs). She comments that in clinical practice, both physician neonatologists and bedside nurses must be extremely attentive to prevent fluid overload by strict, accurate calculations of input and output. Nurses are usually the first staff member to pick up on symptoms of fluid overload such as a change in vitals or decrease in urine output. Good communication between the interdisciplinary teams can greatly reduce these types of incidents. Brandi Eagle, RN, who specialized in Pediatric Intensive Care, notes that symptoms of overhydration in the pediatric population can be subtle and may be masked by infection, respiratory distress, pneumonia or kidney distress. Early signs of fluid overload may include an increase in heart rate, respiration, blood pressure, irritability, and fatigue. Later signs of fluid overload may include swelling, increased work of breathing and “crackles” (noises in the lungs heard with a stethoscope). When unobserved, these complications may quickly worsen. 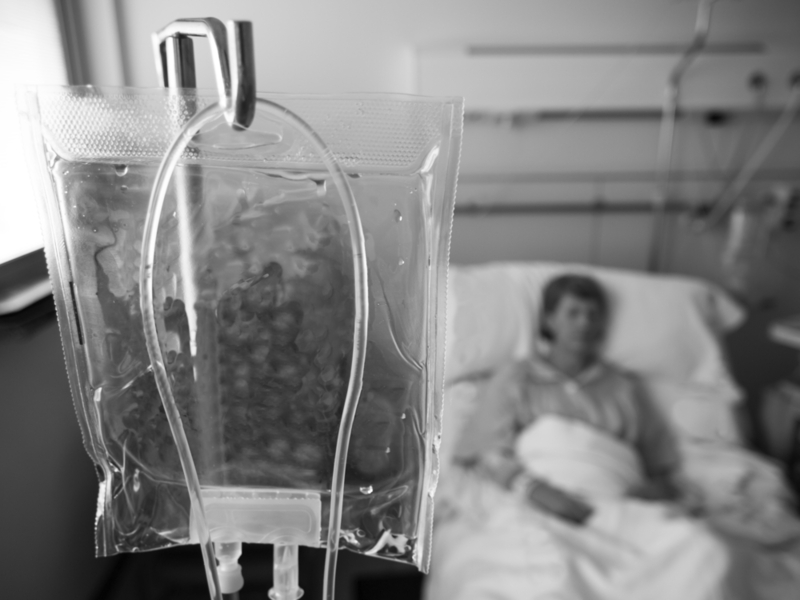 Kathleen Christmas, RN, recalls a specific clinical experience with an over-hydrated geriatric patient that had a serious adverse consequence. “My patient was a 98-year-old 100-pound lady. She was alert and awake on admitting to the hospital. Fluid administration at the rate of 100 ccs per hour (under ½ cup) had been started many hours prior to my shift. No one seemed to be concerned with the idea of fluid overload since the infusion rate was so minimal. However, when I assessed her, she had crackles in her lungs. This was simply too much fluid for such a tiny lady. Although I contacted the physician to obtain orders permitting me to turn off the fluids, she had developed pneumonia by this time. She died a few days later due to pneumonia and respiratory distress. Our NPUSA nurses have both clinical and case review experience with iatrogenic fluid overload. If you have a medical malpractice case which you suspect may involve this frequently missed issue, please feel free to give us a call. There is no charge for a phone consultation!